PuckPedia is the only online source you need for the latest NHL news. We've streamlined the way you find and access news from the world of hockey, eliminating the need to visit multiple websites, saving you time and hassle. We deliver the hockey-related information you're looking for, as it happens, so accessing accurate news on your favorite teams and players is always just a click away. 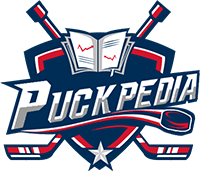 At PuckPedia, we provide hockey fans with the latest news from the league, the games and players, simplifying your search for information on the game you love. Twitter puts hockey fans in touch with the latest developments from the NHL, but PuckPedia's NHL Voices makes it possible to stay up-to-date on the latest hockey news in a way that's convenient and fast. Access the latest updates from the Twitter feeds of the top NHL reporters, writers, and media, as well as the official Twitter feeds of the 31 NHL teams. Tune in to NHL Voices for the latest tweets and inside scoop from the NHL. Missed a game? No problem! Game Previews keeps you in tune with the latest team performance through quick accounts of previous games and the latest happenings. See what your favorite hockey teams will be bringing to their upcoming games with a summary of their recent wins and losses, and relevant events that may affect their standing. This section features statistics and recent NHL news that's pertinent to future games. Know what to expect from the teams you're following! Never miss another game! PuckPedia provides all the information you need to know on upcoming games. Accessing the full, official schedule for the NHL is convenient and fast on our easy-to-use site, and don't forget to check out Game Previews to bring yourself up to speed on the latest performance of the teams that are playing. PuckPedia is the ultimate source for all the latest NHL news, including statistics from the most recent NHL games. Access up-to-the-minute results and team standings based on recent games, as well as game highlights. For fast and accurate online updates, trust PuckPedia to deliver the information you want, when you want it. Staying up-to-date on the latest movement in the NHL has never been easier! PuckPedia keeps you in the know on the teams and players you love, providing you with comprehensive information on NHL updates and detailing all of the official trades and completed deals made in the current season. Stay in tune with the NHL team rosters and access the details you need to more accurately assess teams. Check out which players were acquired and which ones were exchanged, right here. PuckPedia makes it easy to keep up with your favorite NHL players, including the events that can have an impact on their careers and the future performance of their teams. Access the NHL breaking news you need on the players' injuries and prognosis, here at PuckPedia. PuckPedia shares your love of hockey and strives to provide fellow hockey fans with a reliable, up-to-the-minute and comprehensive source for NHL news today. Whatever you need to know about hockey–the latest news, the schedule for upcoming games, the results from recent games, acquisitions and exchanges between teams, player statistics, team standings, and player injures–we have it all. Bookmark this page to keep your finger on the pulse of the NHL!